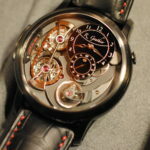 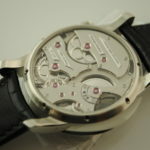 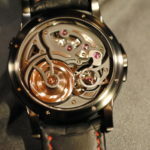 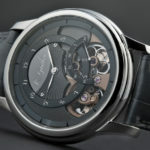 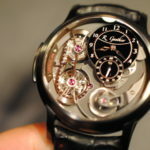 Romain Gauthier hails from the Vallee de Joux in Switzerland. 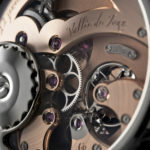 The Vallee de Joux is a heart of Swiss watch tradition. 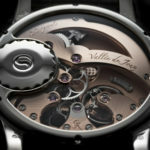 Traditional craftsmanship of the Vallee de Joux is identified by characteristic decoration and traditional fine finishes of mechanical works of art. 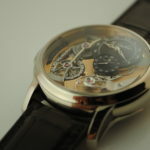 In the Vallee de Joux it is a point of great pride to be recognized as a true craftsman, just from a glance at finished work under a glass. 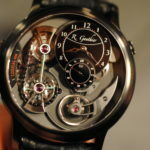 Romain Gauthier has strived to bring this tradtional qualities to his own brand with the skills and toil of years in the watch industry. 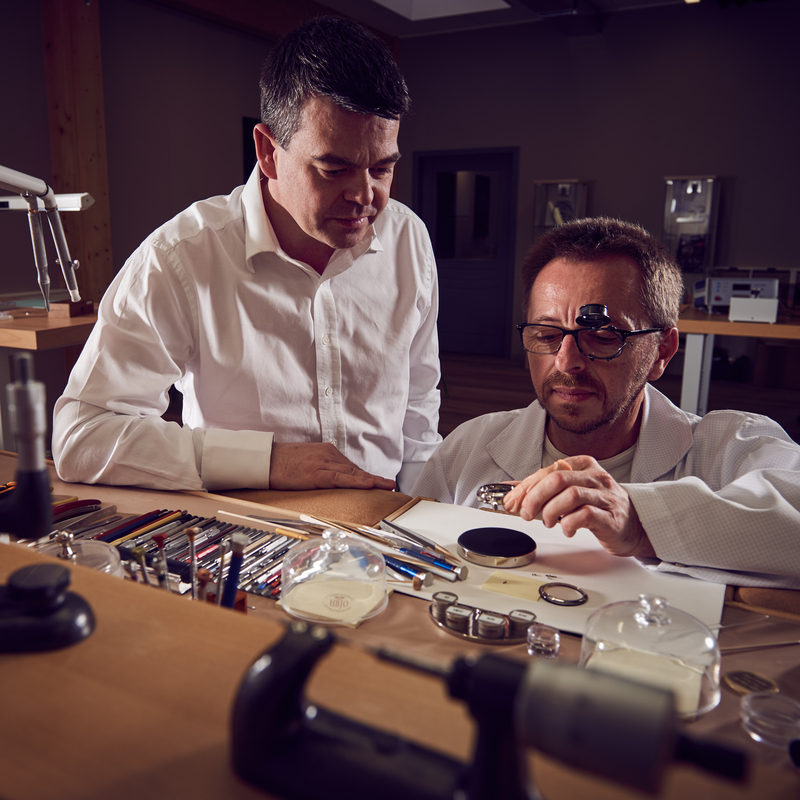 Romain Gauthier’s skills as a micro-engineer have led him to develop his own calibre. 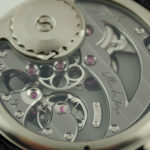 The calibre was in development over the course of six years. 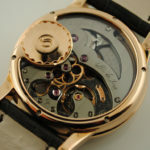 An admitted perfectionist, Romain Gauthier wanted to realize all of his ideas for his calibre to the fullest, prior to offering the calibre as a complete product. 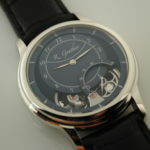 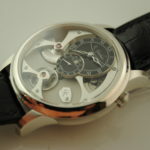 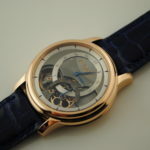 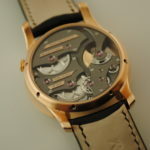 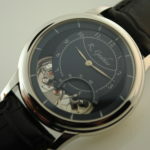 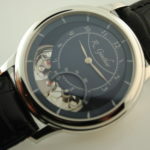 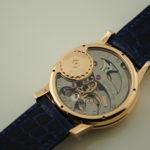 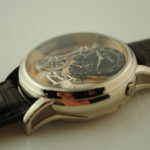 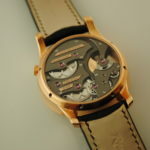 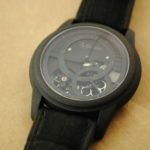 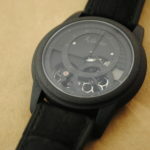 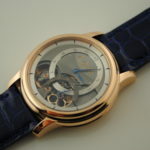 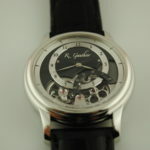 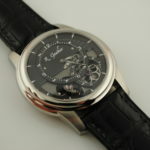 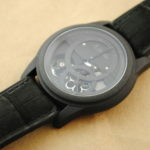 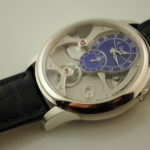 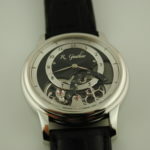 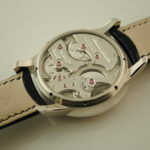 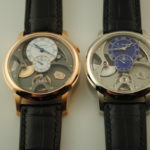 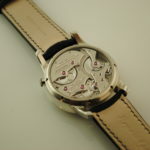 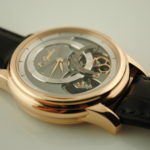 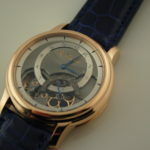 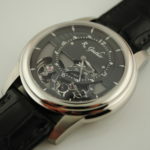 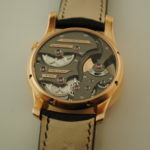 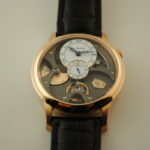 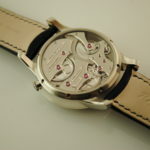 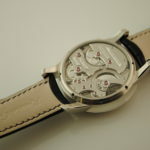 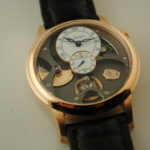 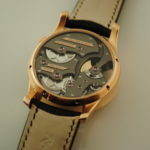 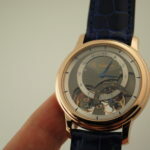 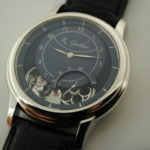 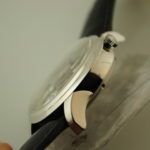 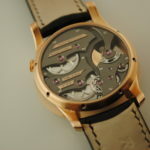 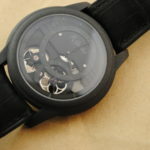 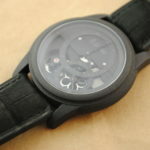 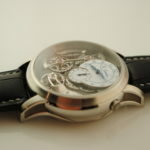 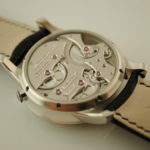 The first watches were realeased as a series enititled “Prestige”. 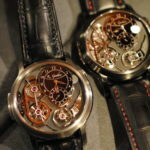 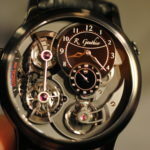 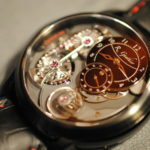 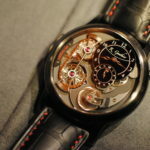 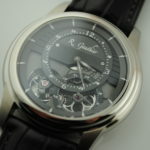 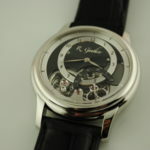 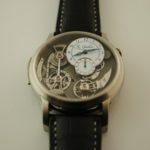 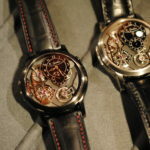 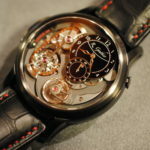 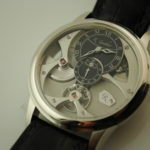 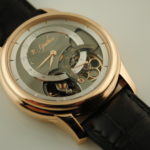 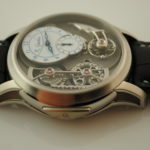 Indeed, Romain Gauthier’s style of Haute Horology eschews prestige. 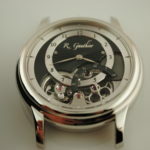 The watches feature Mr. Gauthier’s own calibre with bespoke engine turned guilloche dials. 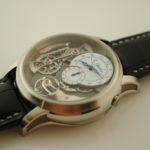 All finished to perfection and presented in a hand made custom machined steel and glass cylinder. 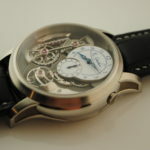 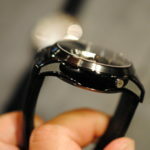 Now, Mr. Gauthier is also proud to offer a newer version of this watch, known as the “HMS”. 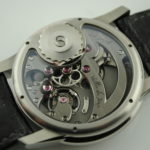 The HMS features dials that are layered and apportioned partially in squelette. 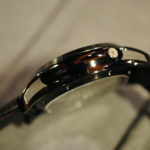 The style allows the wearer to view the fantastic and rare design, machine and finish work through both the front of the watch and through the sapphire display on the rear. 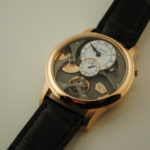 A rare treat for any lover of fine horology. 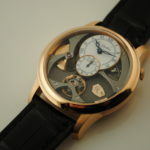 The calibre itself is basically very traditional in architecture. 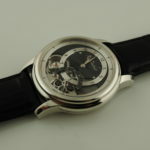 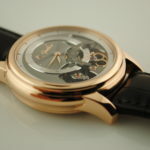 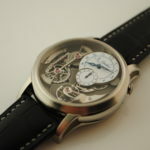 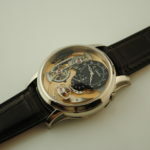 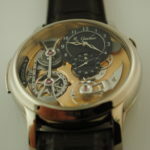 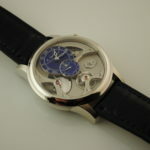 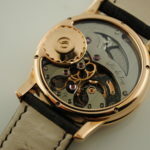 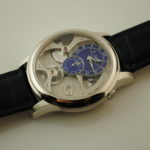 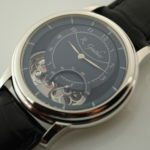 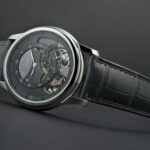 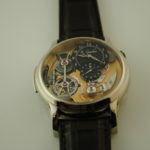 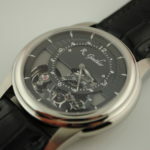 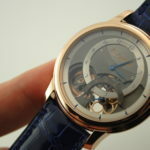 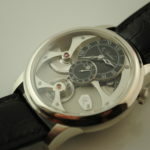 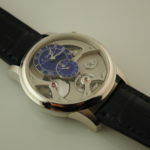 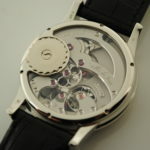 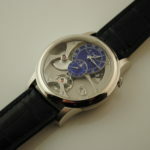 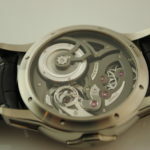 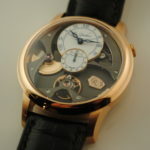 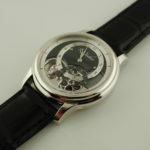 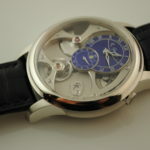 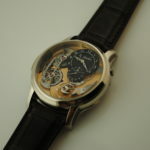 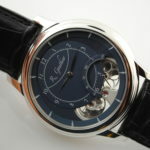 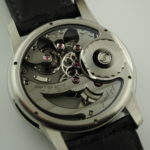 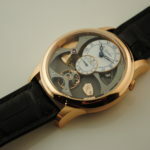 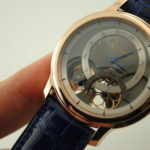 Mechanically, it does feature a fairly unique feature in modern horology, a “Backwinding” operating crown. 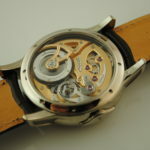 In terms of finish, their are few other watch makers or firms in the world that produce a watch with calibre finished as artisianally as Mr.Gauthier has chosen to render his calibre. 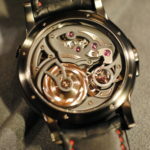 The wheels in this movement must be seen to be believed. 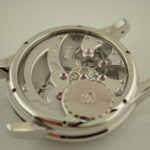 There is no one on this planet, that I have seen that makes wheels as they are in this calibre. 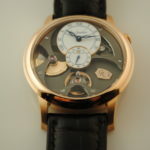 In fact, I have witnessed no fewer than five master watchmakers, that produce their own watches, marvel at the finishing work of Romain Gauthier. 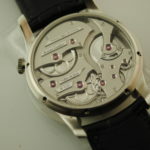 The absolute highest compliment and praise in the horological world is to have ones true colleagues and peers marvel at your product. 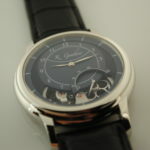 So, Mr. Gauthier, I say Chappeau! 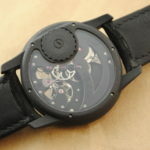 I am proud to own and represent this fine work that is from the very soul of the creator and the Vallee de Joux.